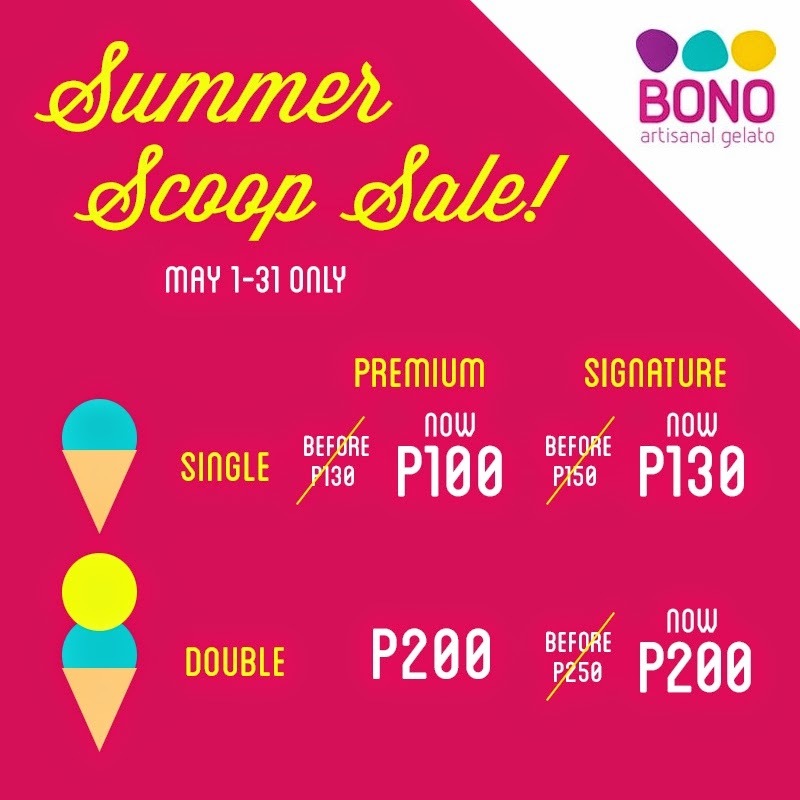 Cool Down With BONO Gelato Summer Specials! Ever since I met BONO Gelato, I never tried other gelato places anymore. It is the BEST GELATO E-V-E-R! And with this heat, the best way to escape it all is to cool down with freshly churned BONO Gelato! Enjoy BONO's Premium flavors which include Vanilla Bean, Cioccolato and Milo Dinosaur for Php100 per scoop and Signature flavors such as S’mores, Movie Night, Taho, Mango Ube Symphony, Pistachio, California Strawberry, Matcha & Azuki, Kooky Monster and Low Sugar Cappuccino for Php130 per scoop! 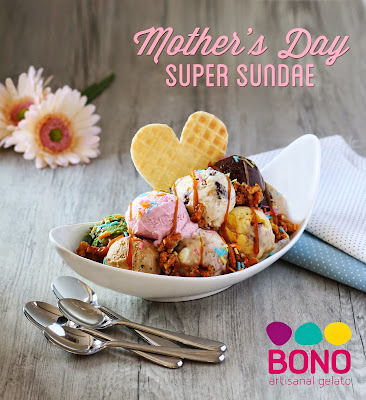 And because it's Mother's Day this coming Sunday, BONO also has a special treat for us moms and the whole family, the BONO Gelato Super Sundae, starting today until Sunday (May 8-10)! Treat the whole family to 10 scoops of artisanal gelato topped with homemade sprinkles and pretzel crunch, drizzled with caramel and chocolate syrup for P650! My kids always as in always (no joke) scream whenever we pass by BONO, kahit anong branch pa yan! Y knows if there's a BONO in the area, may heightened sense for gelato heehee! 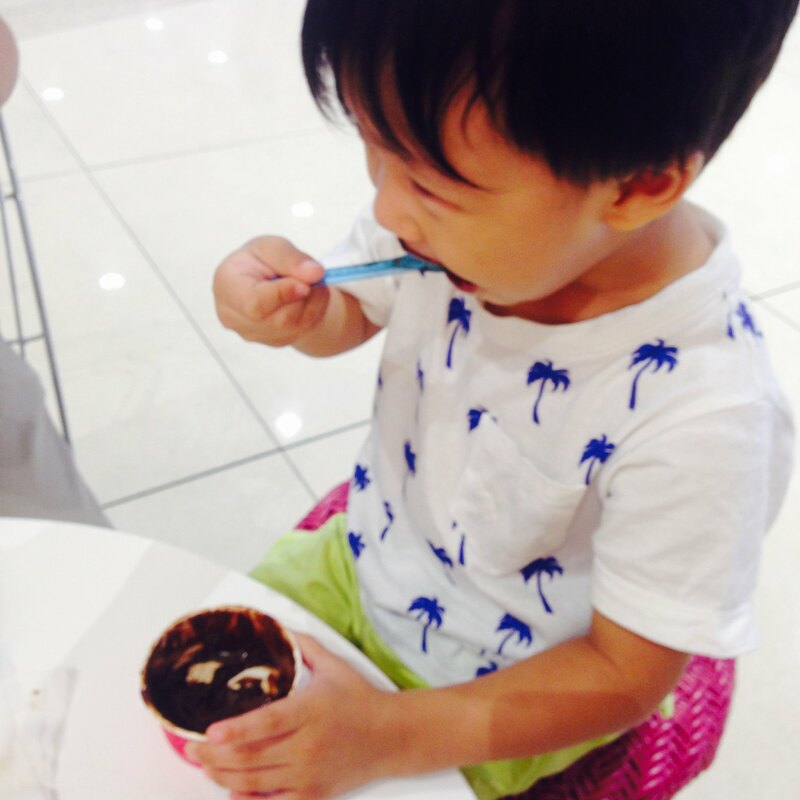 R enjoying his scoop of Cioccolato! 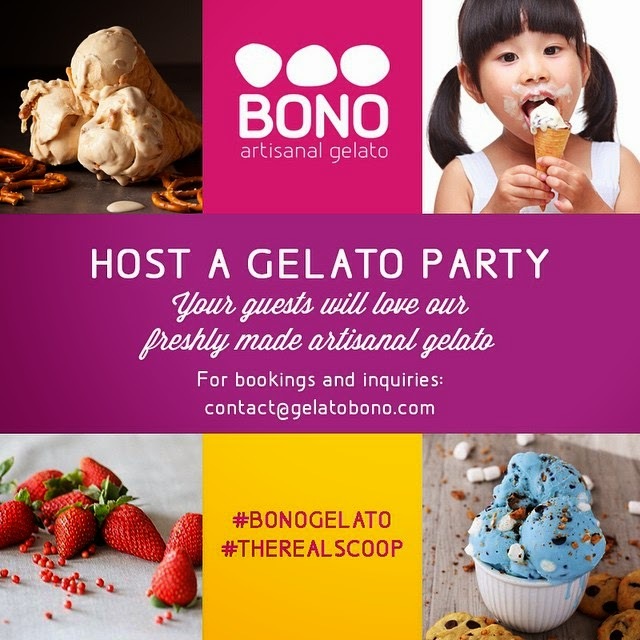 And if you're throwing any of your kids a birthday party or you want to host a gelato party, you can now celebrate it with BONO Gelato with a gelato scooping station or customized flavors churned on-site using a liquid nitrogen machine. For inquiries, email contact@gelatobono.com. Get The Real Scoop at the following BONO Gelato stores located at Aura Premier, Mega Fashion Hall- SM Megamall, The Podium and SM Southmall.